Buyer is to be aware that 20% Buyers Premium fee will be applied at time of purchase. A buyers premium of 13% of the final hammer bid will be added and the bidding platform buyers premium of 5% (for a total of 18%) and is payable by the purchaser as part of the total price. We will ship items purchased by online, absentee or telephone bidding at the high bidder's request. Most packing, shipping and insurance are handled by Seymour Auctions. To economize we will pack multiple items of similar size and type together if possible. Smalls will be shipped USPS Priority Mail with insurance (Flat rate will be used when appropriate). All large items will be shipped UPS-ground or FedEx with insurance. All items must be insured and a nominal fee of $5-10 per box is added for packaging and handling. For international shipping, please call for a quote. Questions regarding shipping costs, insurance and tracking should be directed to patty@seymourauctions.com. We ship within 3 days of payment. Buyers of large freight (i.e. furniture) will be outsourced to your preferred shipper. All shipping charges are the responsibility of the high bidder. Firearms and Ammo will be sold to US Bidders ONLY. All firearms must be paid for prior to calculating shipping to the winning bidders local FFL dealer. Firearms must be shipped to your local FFL dealer. Please have their FFL License copy with address with buyer's name, bidder name & number faxed to 843-278-6016 or emailed to patty@seymourauctions.com. No firearms will be shipped to bidders unless it is pre-1898 or a firearm relics license is sent to us. Background checks are processed by Seymour Auctions for local bidders for firearms post-1898. 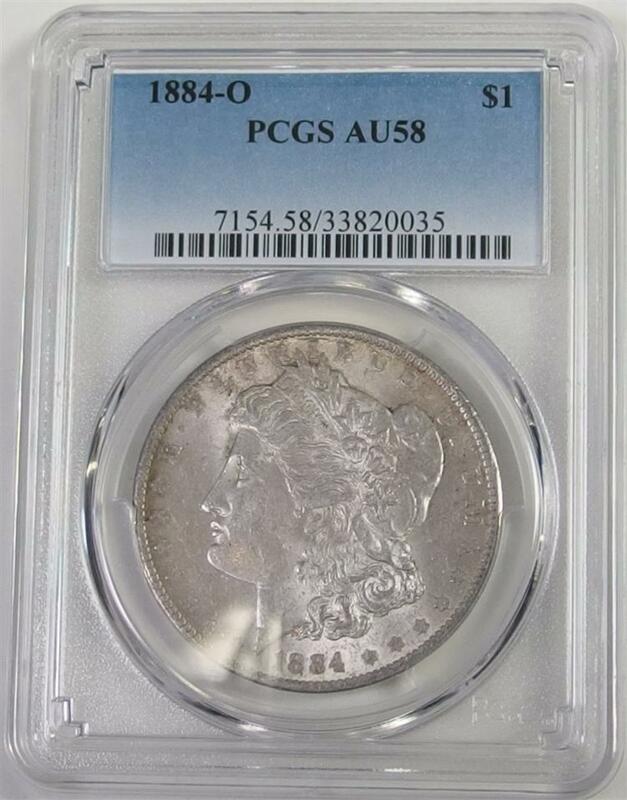 Description: 1881 S Uncirculated Morgan Silver Dollar - 1881-S UNC - with some Toning. Description: Mossberg 590 Mariner 12ga Pump Shotgun. Chambered for 2-3/4 or 3in. Shells. Standard stock and pistol grip. Description: 1898 SPRINGFIELD 30-40 Krag Rifle, Sporterized, S/N 269689. Manufactured 1900, First smokeless powder cartridge gun ever produced. Description: Custom-made Hand Gun Safe/Clock, Quartz. 12" x 12", gun is stored inside of the clock case.